Enjoy the luxurious softness of pearls. This 3-strand bracelet is a medley of peacock, butterscotch, silver, chocolate and olive freshwater pearls, with textured sterling silver cones and a bead dangle. 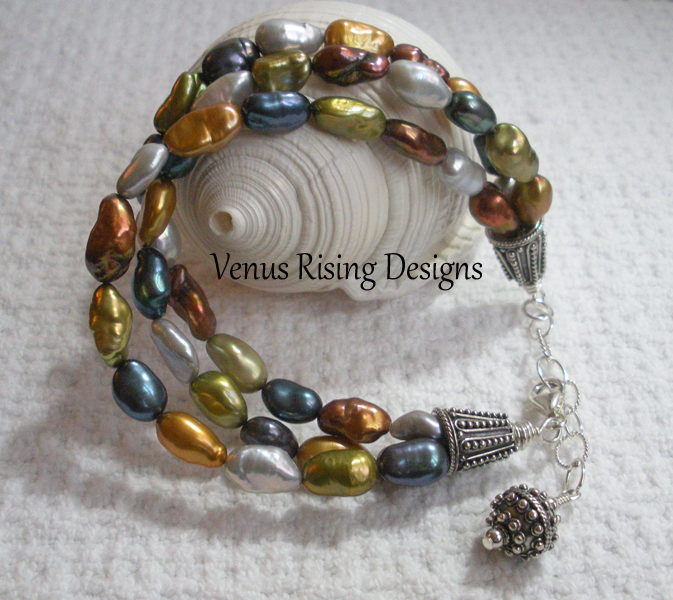 Bracelet is adjustable from 6-1/2" to 8"; I can adjust the length of the chain if needed. Sterling silver beads, chain, wire and findings; wire wrapped for security.